This product is available to you if you do not have this card and have not received a new Cardmember bonus for this card in the past 24 months, for Disney Visa Premier Card. This product is available to you if you do not have this card and have not received a new Cardmember bonus for this card in the past 24 months, for Disney Visa Card. There are no limits to the number of Rewards Dollars you can earn. Calculate how many Disney Rewards Dollars you could be earning. 1 Choose your card, the Disney Premier Visa Card or the Disney Visa Card. 2 Enter your approximate monthly spending in each category. 3 Press “Calculate” to see how many Disney Rewards Dollars you could be earning! 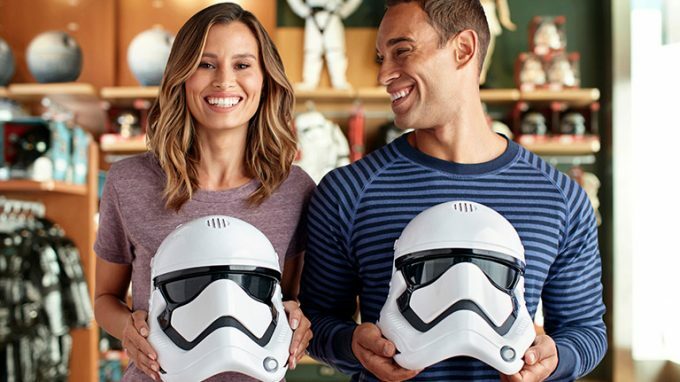 Here’s how many Disney Rewards Dollars you could be earning. Redeem Rewards Dollars toward more of your favorite Disney experiences such as Disney Theme Park tickets, Resort stays, shopping, dining, movies and more. There are no block-out dates when redeeming Rewards Dollars. Redeem Rewards Dollars toward Disney Theme Park tickets, Resort stays, shopping, dining and more. Catch the latest Disney & Star Wars movies at participating theaters by redeeming Rewards Dollars. 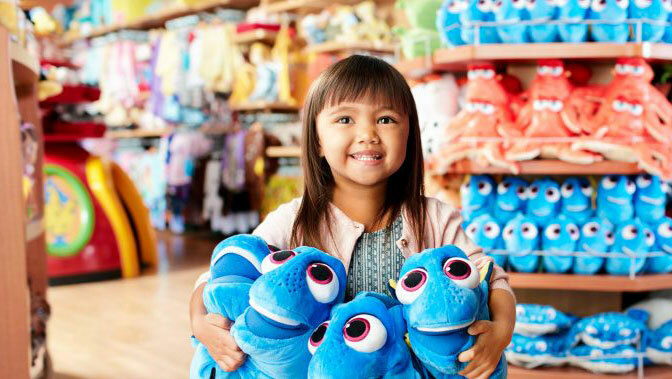 Shop all things Disney by redeeming Rewards Dollars at Disney store or shopDisney.com. 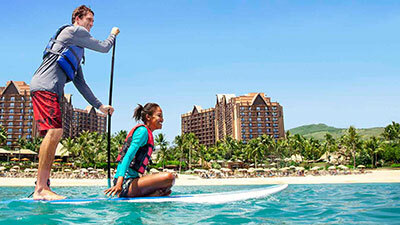 Redeem Rewards Dollars toward Disney Cruise Line packages, onboard activities and souvenirs. 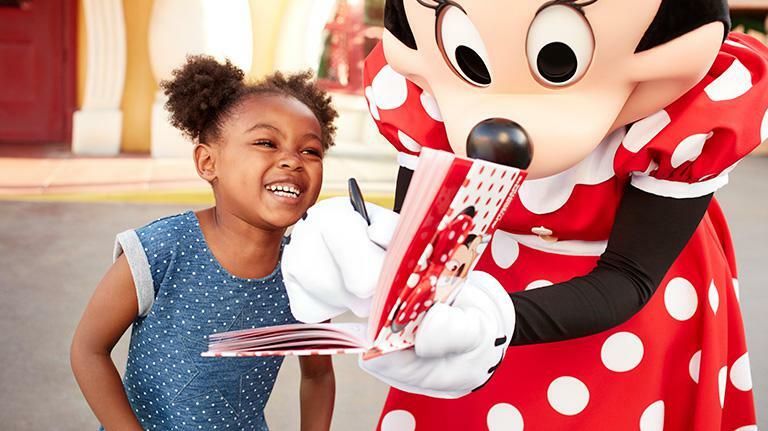 Take advantage of Disney Visa Cardmember savings and special Disney experiences all year long, starting the moment you get your card. First, select the card that’s right for you. View full gallery to see the card backs. To be eligible for a Disney Visa Credit Card you must have a valid permanent home address within the 50 United States, the District of Columbia, Guam, Puerto Rico, or the US Virgin Islands, or have a United States military address. Accounts subject to credit approval. Restrictions and limitations apply. Disney Visa Credit Cards are issued by Chase Bank USA, N.A. Offer subject to change. This product is not available to either (i) current cardmembers of this credit card, or (ii) previous cardmembers of this credit card who received a new cardmember bonus for this credit card within the last 24 months. You must apply using the application link on this page to be eligible for this offer. In some instances, an application may require additional time to process. This offer is limited to a one-time award for new cardmembers of a $50 statement credit after First Purchase with the Disney Visa Card. (“First Purchase” does not include balance transfers, cash advances, travelers checks, foreign currency, money orders, wire transfers or similar cash-like transactions, lottery tickets, casino gaming chips, race track wagers or similar betting transactions, any checks that access your account, interest, unauthorized or fraudulent charges, and fees of any kind, including an annual fee, if applicable.) To be eligible for this bonus offer, account must be open and not in default at the time of fulfillment. Please allow up to 8 weeks after your First Purchase with the card for this credit to appear in your statement. 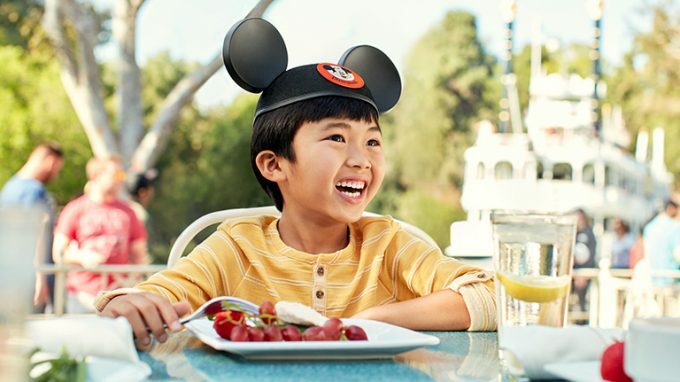 The terms and conditions that apply to Disney Rewards Dollars are available at DisneyRewards.com/Terms and will be provided to you with your Disney Premier Visa Card once you become a cardmember. The terms and conditions that apply to Disney Rewards Dollars are available at DisneyRewards.com/Terms and will be provided to you with your Disney Visa Card once you become a cardmember. Get special vacation financing on select Disney Resort packages, all Adventures by Disney® packages, all Aulani, A Disney Resort & Spa, Ko Olina, Hawai‘i vacation packages, and all Disney Cruise Line packages (collectively, Disney Vacation Packages). Disney Vacation Packages must be booked by you or your travel agent through the Walt Disney Travel Company, Disney Cruise Line or Adventures by Disney Travel Services, Inc. and charged to your Disney Visa Credit Card prior to commencement of your vacation. Other restrictions and exclusions apply. Please refer to the applicable Pricing & Terms for pricing details: Disney Premier Visa Card pricing; Disney Visa Card pricing. You will receive complete terms and conditions for this offer once you become a cardmember. Offer and offer elements are subject to availability and additional restrictions, and may change or be canceled without notice. In order to receive special Disney Cruise Line perks, Disney Visa Card must be used to pay for onboard purchases for sailings through 12/31/19. Cannot be combined with any other offers or discounts including Cast Member, Castaway Club, and Disney Vacation Club® offers or discounts, and is for personal use only. Ships’ Registry: The Bahamas. Chase is not responsible or liable for fulfillment of this offer. 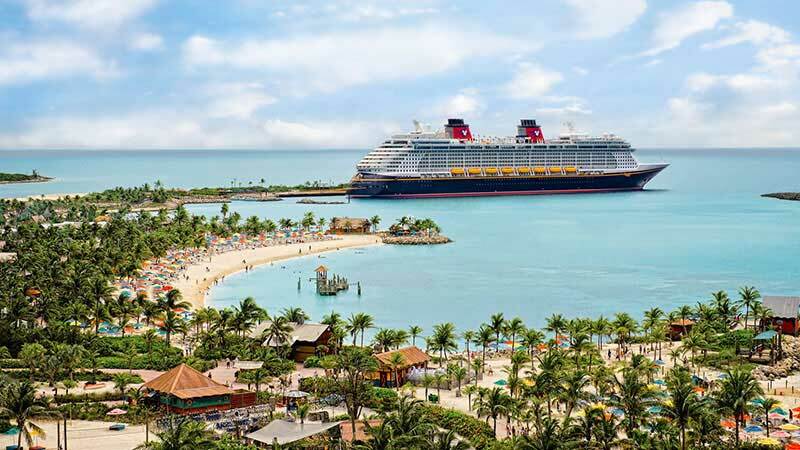 10% off a Castaway Cay Getaway Package. Offer and offer elements are subject to availability and additional restrictions, and may change or be canceled without notice. Not valid for any other Port Adventures (Excursions) or Castaway Cay activities and amenities. In order to receive special Disney Cruise Line perks, Disney Visa Card must be used to pay for onboard purchases for sailings through 12/31/19. Cannot be combined with any other offers or discounts including Cast Member, Castaway Club, and Disney Vacation Club® offers or discounts, and is for personal use only. Ships’ Registry: The Bahamas. Chase is not responsible or liable for fulfillment of this offer. Offer and offer elements including, but not limited to, participating locations and eligible items, are subject to availability and additional restrictions and exclusions, and may change or be canceled without notice. A $50 minimum pre-tax single transaction merchandise purchase is required to receive discount. Must use your valid Disney Visa Card and/or Disney Rewards Redemption Card as payment form and mention this offer. Discount is not valid on previous purchases or on purchases of the following: ticket media, Disney Gift Cards, Park Admission, Arcades, tobacco, alcohol, Outdoor Vending (e.g., in-Park balloon vendors, glow vendors), Add-a-Dollar (Wildlife Conservation Fund), postage stamps, rentals (e.g., strollers, ECVs), personalization, Disney PhotoPass® purchases (e.g., purchases through any application, website or onsite sales location), Disney PhotoPass+, Disney MaxPass, Memory Maker, and Memory Maker One Day, select print packages, framed Disney Dollars, Artist Sketch Program, original or consignment art, select limited editions, select specialty items, purchase-with-purchase offers, newspapers/periodicals, books, videos, DVDs, CDs, sundries, pantry/prepared foods, digital/video/disposable cameras, film, consumer electronics, National branded fragrances, treatments and cosmetics, Lladró®, Swarovski® Crystal, select collectibles, Tiffany & Co.® Jewelry, handmade items, special orders, live auction artwork, select product launches, select premium branded items, Bibbidi Bobbidi Boutique and Pirates League packages (at Walt Disney World® Resort), phone, email or mail order purchases, shipping or taxes or Authentic Hawaiian Collectibles. Discount does not apply at the following locations at the Disneyland® Resort: Games, Fairytale Arts, Silhouette Studio, Portrait Artists, Parasol Cart, Crystal Shops (Crystal Arts and Cristal d’Orleans), face painting locations, or at any Downtown Disney® District location other than World of Disney® Store, Disney Home, WonderGround Gallery, Marceline’s Confectionery, Disney’s Pin Traders, and The Disney Dress Shop. Discount is not available at Cast Connection, Disney’s Character Premiere, Disney’s Character Warehouse or Walt Disney World® Resort Operating Participant locations and any other locations or kiosks that are not owned or operated by the owners of the Walt Disney World® Resort, except for Basin®, Basin White®, Chapel Hats (store and kiosk), Filthy Rich, Good Fortune Gifts and House of Good Fortune, House of Blues® Gear Shop, Joffrey’s coffee/tea kiosks and Tea Traders Café by Joffrey’s, kidsHeritage, Levi’s®, Luxury of Time, Marrakesh Emporium Arts & Crafts, Sperry, Sugarboo & Co., and Volcom. Not valid in combination with other offers, discounts or promotions. Separate admission may be required. Discount is for personal use only and may not be transferred or used to purchase merchandise with the intent to resell the merchandise. Offer and offer elements including, but not limited to, participating locations and eligible food and beverages, are subject to availability and additional restrictions and exclusions, and may change or be canceled without notice. Offer excludes alcoholic beverages, select new food and beverage offerings, merchandise, tobacco, room service, holiday buffets, tax and gratuity. Must use your valid Disney Visa Card and/or Disney Rewards Redemption Card at time of purchase. Discount valid at the following restaurant locations: Walt Disney World® Resort–Disney’s Animal Kingdom Lodge & Villas: Boma – Flavors of Africa, Jiko – The Cooking Place (see restrictions), and Sanaa; Disney’s BoardWalk Inn & Villas: ESPN Sports Club and Flying Fish (see restrictions); Disney’s Contemporary Resort: The Wave…of American Flavors; Disney’s Fort Wilderness Resort & Campground: Trail’s End Restaurant; Disney’s Grand Floridian Resort & Spa: Citricos (see restrictions), Grand Floridian Cafe, and Narcoossee’s; Disney’s Old Key West Resort: Olivia’s Cafe; Disney’s Polynesian Village Resort: Kona Cafe; Disney’s Port Orleans Resort: Boatwrights Dining Hall; Disney’s Saratoga Springs Resort & Spa: The Turf Club Bar and Grill; Disney’s Wilderness Lodge: Artist Point (see restrictions) and Whispering Canyon Cafe; Disney’s Yacht Club Resort: Ale & Compass Restaurant and Cape May Cafe; Disney’s Animal Kingdom® Theme Park: Tiffins; Disney’s Hollywood Studios®: The Hollywood Brown Derby (see restrictions) and Hollywood & Vine (see restrictions); Epcot®: Biergarten Restaurant (see restrictions), Coral Reef Restaurant (lunch only), Le Cellier Steakhouse (lunch only), and Rose & Crown Dining Room (lunch only); Magic Kingdom® Park: Jungle Navigation Co. Ltd. Skipper Canteen; and ESPN Wide World of Sports Complex: ESPN Wide World of Sports Grill. For locations where it is noted to see restrictions, the discount does not apply to the following dates: 11/22/18, 12/24/18, 12/25/18, 12/31/18, 1/1/19, 2/14/19, 4/21/19, 5/12/19, and 7/4/19. The Disneyland® Resort–Disneyland® Park: French Market and River Belle Terrace; Disney California Adventure® Park: Cocina Cucamonga Mexican Grill, Wine Country Trattoria, and Paradise Garden Grill; Disneyland® Resort Hotels: Steakhouse 55, Disney’s PCH Grill and Storytellers Café. Disney’s Vero Beach Resort: Wind & Waves Grill. Subject to restaurant operating hours and closures. Not valid in combination with other offers, discounts or promotions. Separate admission may be required. Discount is for personal use only and may not be transferred or resold. The Disneyland® Resort Character Experience Photo Opportunities are offered daily during set hours–the Disney Character Experience is at Disney California Adventure® Park and the Star Wars Character Experience is at Disneyland® Park. The Walt Disney World® Resort Character Experience Photo Opportunities are offered daily during set hours–the Disney Character Experience is at Epcot® and the Star Wars Character Experience is at Disney’s Hollywood Studios®. Separate Theme Park admission required for each Character Experience Opportunity. Must present a valid Disney Visa Card for entry for up to 6 people per cardmember account (each cardmember account may be used for entry only one time per day). Operating times, days of the week, locations and appearance of Characters may vary and are subject to restrictions and change or cancellation without notice. Offer includes complimentary downloads of your Disney PhotoPass® photos taken at the Disney Visa Character Experience location that are associated to your Disney account. To access complimentary downloads of your Disney PhotoPass® photos taken at the Disney Visa Character Experience location at the Disneyland® Resort, go to Disneyland.com/photopass or at the location at Walt Disney World® Resort, go to MyDisneyPhotoPass.com or DisneyWorld.com/photopass, and then log-in using your existing account or create an account. MagicBands or other medium scanned by the photographer at the time of capture must be linked to your My Disney Experience Profile at Walt Disney World® Resort or linked to your Disneyland® Resort account, or you may claim Disney PhotoPass® cards provided to you by the photographer by entering the Disney PhotoPass® ID number found on the back of your Disney PhotoPass® card. One photo session per valid cardmember account per day. Offer not valid for photos taken at other Disney PhotoPass® locations or attractions photos. Photos will expire pursuant to the expiration policy at Disneyland.disney.go.com/photopass-expiration-policy, MyDisneyPhotoPass.disney.go.com/help-and-support/policies or DisneyWorld.disney.go.com/photopass-expiration-policy, as applicable. Not responsible for missing, lost or damaged photos. Not valid in combination with other offers, discounts or promotions. Offer is for personal use only and may not be transferred or resold. Please visit DisneyRewards.com/ParkPerks for additional information. Card designs are subject to availability and may change without notice.